AC Milan face Real Betis in the Europa League on Thursday evening, but they’ll do so without two key individuals, according to reports. 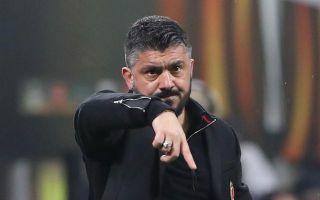 The Rossoneri will be looking to bounce back from the disappointment of losing the Derby della Madonnina to Inter on Sunday night, and so coach Gennaro Gattuso may well opt to go with a strong line-up. While he has rotated in the opening two games in Europe, further changes could be made to give others an opportunity but there will certainly be two changes in particular it seems. According to Calciomercato, both Lucas Biglia and Hakan Calhanoglu aren’t expected to feature due to ankle and toe injuries respectively, and so it’s unlikely that either will be risked with the likes of Tiemoue Bakayoko and Samu Castillejo perhaps ready to step in. Importantly, it’s added in the report that both are likely to face Sampdoria next weekend, which will be positive news for Gattuso as they look to get back to winning ways domestically after such a poor performance and result at the weekend. The Italian tactician can perhaps afford to rest others too given that Milan have won both of their opening games in the Europa League and currently sit top of Group F, although they’ll certainly want to be sure of qualification for the knockout stage sooner rather than later. A win over Betis would potentially take them to the brink of doing that, and so it would come as no surprise if Gattuso perhaps makes less changes than he has done for the first two games. What is clear for now though is that Calhanoglu and Biglia are unlikely to play a part, giving others a chance to step in and prove their worth.